I am also reminded of a research study from a few years ago in which 60 obese women were assessed for their goals, expectations and outcomes regarding their weight loss journey over 48 weeks. Before starting they defined their goal weight, their ‘dream weight,’ ‘happy weight,’ ‘acceptable weight’ and ‘disappointed weight’. Their goal weights required an average loss of 32% of body weight! A 37 pounds weight loss was generally defined as ‘disappointed’; a 55 pound weight loss was merely seen as ‘acceptable’. The results of the program showed that the participants lost an average of approximately 35 pounds. Ironically despite amazing progress almost half (47%) of the patients did not feel that they had achieved even a ‘disappointed weight’. Foster GD, Wadden TA, Vogt RA, Brewer G. What is a reasonable weight loss? 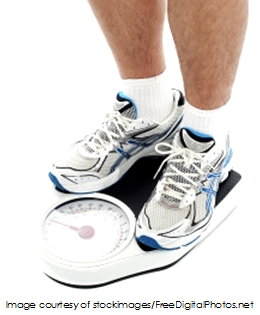 Patients’ expectations and evaluations of obesity treatment outcomes. J Consult Clin Psychol 1997; 65: 79 – 85.